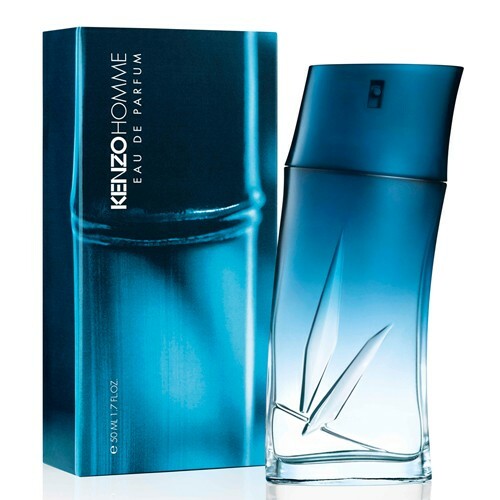 The famous woody marine fragrance from Kenzo, Kenzo pour Homme from 1991, got its new edition Kenzo Homme Eau de Parfum in February 2016, inspired by the power of the ocean. The new Kenzo Homme is announced as a fragrance of a free man who draws his strength from nature. This intense, sensual and mysterious version marks the 25th anniversary of the original. The new, aromatic, woody-aquatic creation is signed by perfumers Nathalie Gracia-Cetto and Olivier Pescheux. The fragrance supposedly combines freshness and irresistible sensuality. It opens with a fresh combination of citruses, mint and cardamom. The heart notes include sage and marine accords with some spices, laid on the woody base of vetiver, cedar, sandalwood and vanilla.